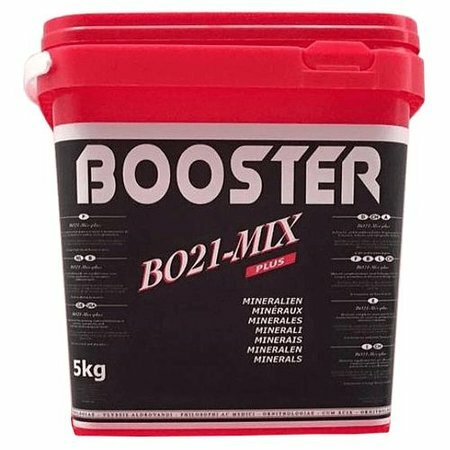 Booster BO21-Mix bird minerals is an additional breeding and condition food for canaries, parakeets and European cultural birds. Promotes condition and growth. Food supplement for rearing and conditioning of canaries, parakeets and domesticated european birds. Contains vitamins, minerals and other natural ingredients, that are vital to stimulate breeding, moulting and plumage. From Cor Booster, the well-known parakeet grower and judge.